Rheumatoid arthritis (RA) and psoriatic arthritis (PsA) are common in women of childbearing age and are often treated with teratogenic medications. In this study, we assessed contraceptive methods in young women with RA or PsA and correlated contraceptive method efficacy with use of concomitant rheumatic medications. We combined the data from several cross-sectional surveys of women under the age of 40 with RA or PsA. 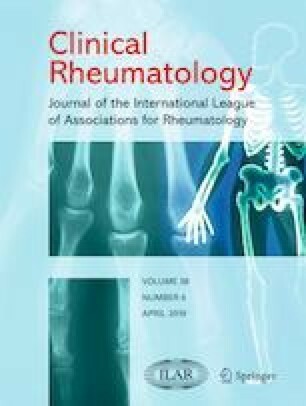 Two surveys recruited participants from a clinic setting (RA and PsA Clinic Surveys), and the third survey recruited participants from CreakyJoints.org, an online forum for patients with inflammatory arthritis (CreakyJoints Survey). Of the 164 women included, 138 had RA (67 in RA Clinic Survey, 71 in CreakyJoints Survey) and 26 had PsA (19 in PsA Clinic Survey, 7 in CreakyJoints Survey). Use of specific contraceptive and rheumatic medications were similar between the clinic and online surveys. In the pooled analysis of the Clinic and CreakyJoints survey data, women with RA and PsA reported similar utilization of highly effective contraception methods (31.9% RA, 34.6% PsA) and effective methods (31.2% RA, 30.8% PsA), but different utilization of ineffective methods (35.5% RA, 11.5% PsA) and no methods (1.5% RA, 23.1% PsA), p = 0.0002. These proportions remained similar across subgroups taking methotrexate, anti-TNF biologics, and novel medications. Approximately two thirds of women with RA and PsA reported using effective or highly effective methods of contraception, though women with PsA were more likely to report no methods of contraception. This work was partially supported through a Patient-Centered Outcomes Research Institute (PCORI) award (PPRN-1306-04811). The authors JRC, SG, and WBN receive support from a Patient-Centered Outcomes Research Institute (PCORI) award and ArthritisPower is in part supported by this grant. The authors have no other disclosures to report. We have full control of all primary data and agree to allow the journal to review the data if requested. All statements in this manuscript, including its findings and conclusions, are solely those of the authors and do not necessarily represent the views of PCORI, its Board of Governors or Methodology Committee.